Julie’s Love Letters is a must-have item in almost every household, it comes in 2 flavours which is chocolate and strawberry. The chocolate flavoured are rolled up with rich melty chocolate, where every bite is filled with the chocolaty goodness that makes you crave for more. The strawberry flavoured ones are filled with the aroma of sweet strawberries that you cannot resist. Some believe that every little love letter is rolled up with fortune and luck, that will bring happiness and prosperity to all. 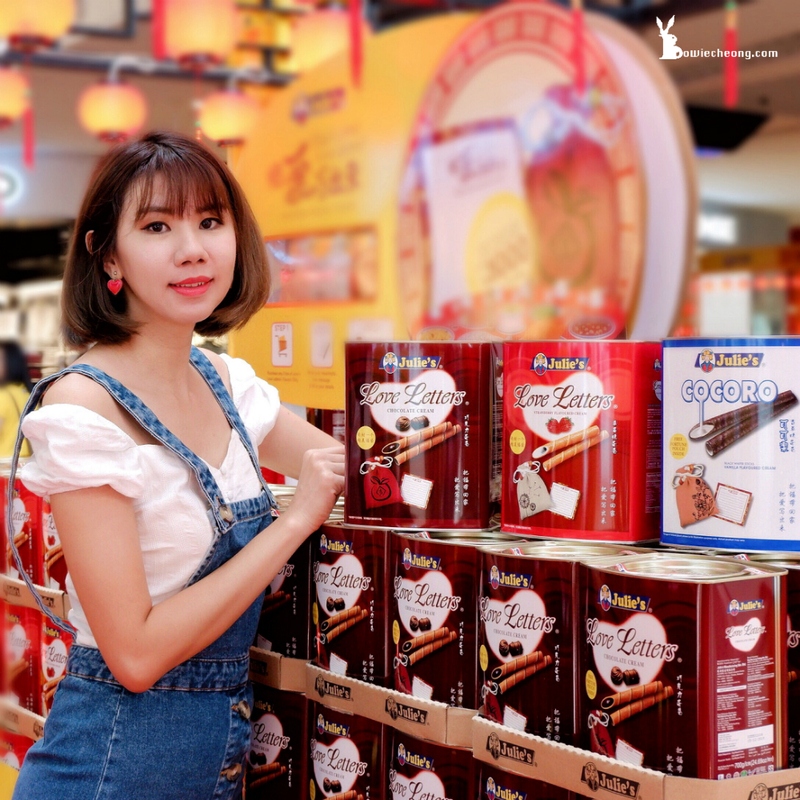 The Lunar New Year is the most important festival celebration for the Chinese community, it is the perfect time to unwind and reunite with your loved ones and of course the endless snacking. To usher in Chinese New Year, Julie's Love Letters are not only as a taste of beautiful memories for Malaysians, but now you can also win a Reunion dinner! 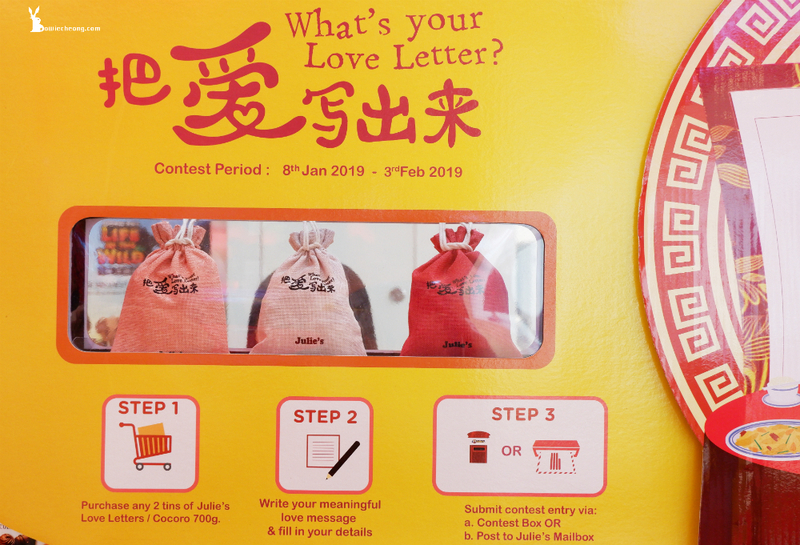 From now to 3rd Feb 2019, participate in the “What’s Your Love Letter” campaign contest with sending your message together with your purchase receipts through mail or drop them in the Julie’s promotional booth boxes. 15 winners will walk away with RM1000 worth of reunion dinner vouchers to treat your loved one and family a sumptuous meal this Chinese New Year. This is the fifth consecutive year of Julie’s “What’s Your Love Letter” campaign. Because of the overwhelming responses over the years, so this year Julie's will continuing their tradition of encouraging people to share their love through words. For more information about the contest, please check via What’s Your Love Letter Contest Form and www.facebook.com/JuliesBiscuits. As a token of appreciation to the public for their unwavering support for Julie’s Love Letter, Julie’s will be doing its annual promotional roadshows to spread joy and love around Malaysia. Julie’s CNY roadshows will be held from Jan 11-13, 18-20, 25-27 and Feb 1-3, 2019 in 53 locations in Selangor, Penang, Ipoh, Johor, Kedah, Pahang, Kelantan, Melaka and Perak. There are many attractive promotions and games that can allow participants stand a chance to win interesting Julie’s products. Kindly check Julie's CNY roadshows location list at here. 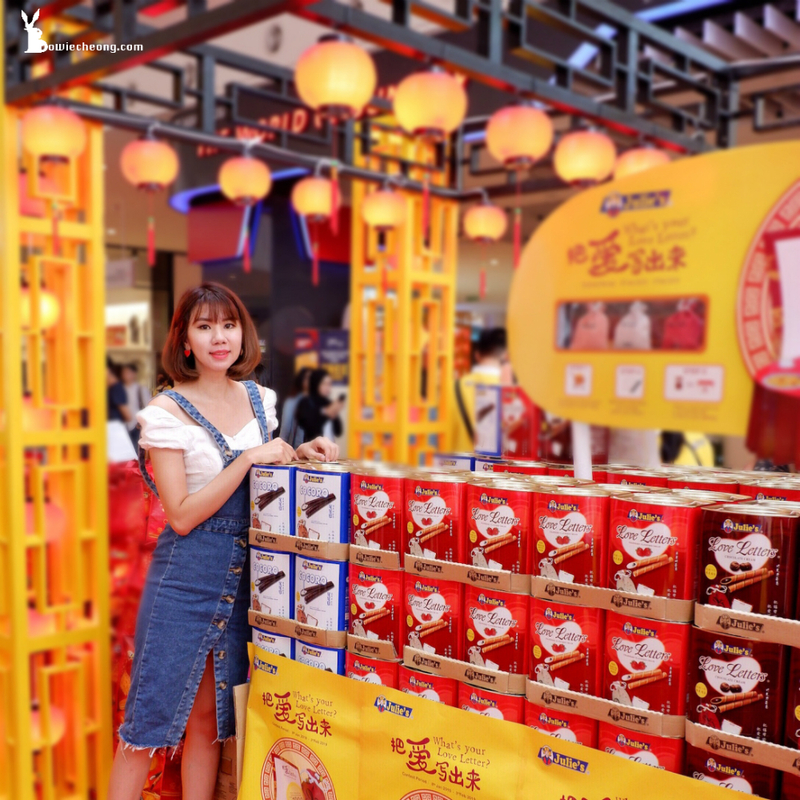 One of the CNY roadshow promotion is visit Julie’s roadshows at the specified dates and times, customer will get a tin of specially packed 400gm Julie’s Love Letters for free if purchase 2 tins of the 700gm Julie’s Love Letters. * maximum of 128 tins will be given away on the first-come-first-served basis while stock lasts. 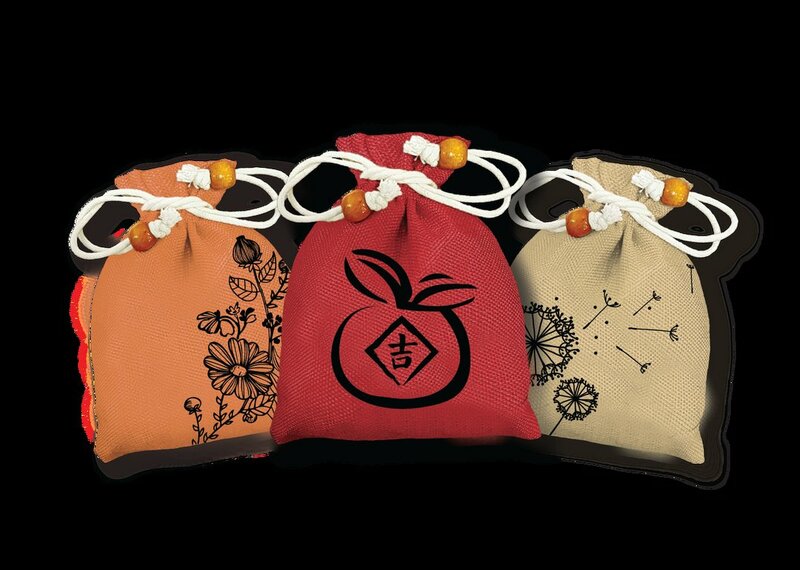 Also, purchase any tin of 700gm Julie’s Love Letters and you will bring home one of the three beautifully-designed “Fudai” fortune pouches. Collect all three today, and bring all the blessings home! Julie’s Love Letters is a household brand of more than 30 years. All ingredients used are natural without additives, free from trans-fat, compliant with the ISO and HACCP standards and manufactured under stringent quality control. Visit https://julies.com.my for more information.